In Zimbabwe, a government crackdown continues this week on citizens who last month protested a 150 percent fuel price hike. Zimbabwe Congress of Trade Unions (ZCTU) Secretary General Japhet Moyo and President Peter Mutasa were released from police custody yesterday on $2,000 bail each, but remain charged with subversion. Strict release conditions are preventing them from traveling to carry out duties they were elected to perform on behalf of the union members they represent. “We call upon the government to respect labor rights and stop all forms of intimidation and harassment against trade unionists,” said ZCTU in a press release. Mutasa must reportedly check in with police, in person, every day, while Moyo is required to check in similarly with police three times per week. Moyo, speaking with the Solidarity Center, says he was forced to give up the deed to his personal home as a guarantee against skipping bail. The Zimbabwe Human Rights Commission found that torture of protesters by government forces—consisting mostly of “indiscriminate and severe beatings”—has been widespread. Last month’s violent clashes were blamed by human rights organizations on the army and police and left 12 dead and 320 injured. Moyo was arrested January 21, 2019, and Mutasa presented himself for arrest in the company of his lawyer January 25, after being forced into hiding for several days. A few days prior to Mutasa’s arrest, police had broken into his home while he was out and allegedly assaulted his brother. While Mutasa was in hiding, ZCTU staff reported avoiding their offices for fear of police seeking his whereabouts, according to union members who spoke with the Solidarity Center. 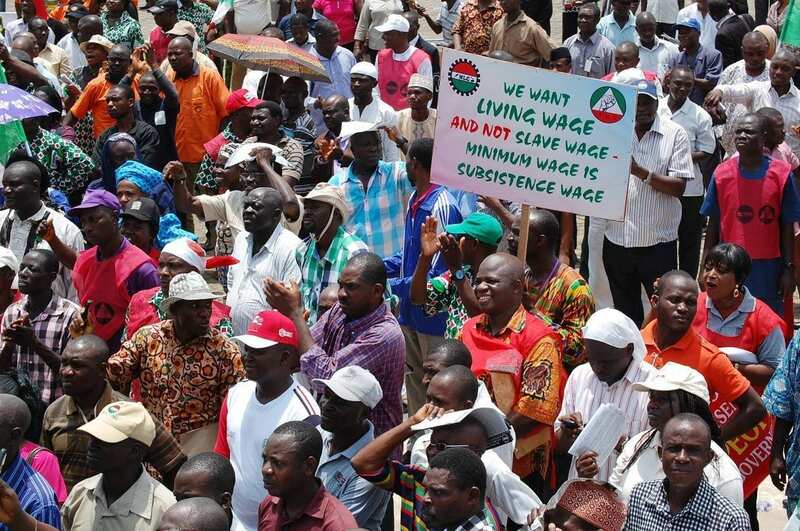 ZCTU has faced other threats from authorities in recent months as Zimbabwe’s economy founders, and inflation and price hikes further complicate Zimbabwean workers’ lives. Mutasa and Moyo—along with 33 other trade unionists—were arrested and later released in October last year during an attempt to stop a national workers’ protest against a financial tax increase and rising prices. 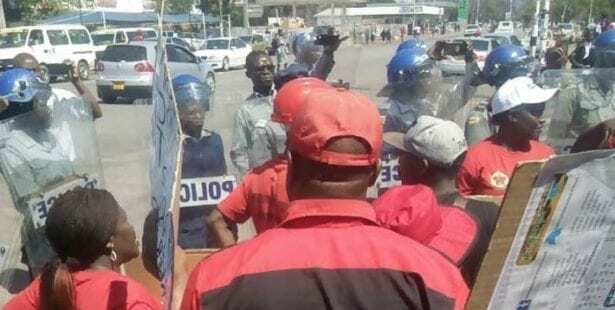 Some trade unionists were beaten, ZCTU Harare offices were cordoned off by some 150 police and ZCTU leaders not already in jail were forced into hiding. On Monday, meanwhile, Zimbabwean teachers announced they would go on strike this week. The majority of Zimbabwean workers eke out a living in the informal economy, struggling to survive on less than $1 a day. Those with formal jobs often do not fare well either. A 2016 study by the Solidarity Center found that 80,000 workers in formal jobs did not receive wages or benefits on time, if at all. In many cases, they made only enough to get to work.